I’ve noticed recently, that there’s a great deal of interest in the idea of dropping seed balls from drones and planes, with the intention of restoring degraded land. So I’m asking you to play with me for a moment, while we consider if this is effective as part of a solution to global warming. Don’t get me wrong, I think it’s a wonderful practice, when it’s done over receptive soil, with help of adequate rain to coax the seedling to life and sustain its growth. But I’m also noticing in our desire for a quick fix for a big challenge, that we’re not all thinking about the conditions required for growth of the trees to maturity. Think of it this way. Have you ever planted, with the BEST OF INTENTIONS, a garden from seeds, that for one reason or another (oops, I forgot about them while I went on vacation), withered instead of flourished, in your beautifully prepared soil? Or perhaps you’ve tried planting seeds of something you love, that didn’t appreciate the soil conditions they were sown in? On the other hand, have you experienced planting seeds in good soil that were well cared for before being transplanted to the soil outdoors? Did they take off and thrive? YES! So while that’s an over simplification, keep it in mind as you learn about some of the different ways seed balls are being used around the world. Here’s a really informative post about how the idea of making seed balls was originated by Masanobu Fukuoka, for restoration of pastures. Here’s a post about tree seed balls being planted by hand in receptive areas, and providing maintenance afterward, that seems to be working well in India. And then we have a seed bombing method developed by someone at Lockheed Martin. Here’s a report about using tree seed balls to plant degraded land in Kenya, by helicopter that’s gotten a lot of buzz lately, via video that’s been going viral on Facebook! 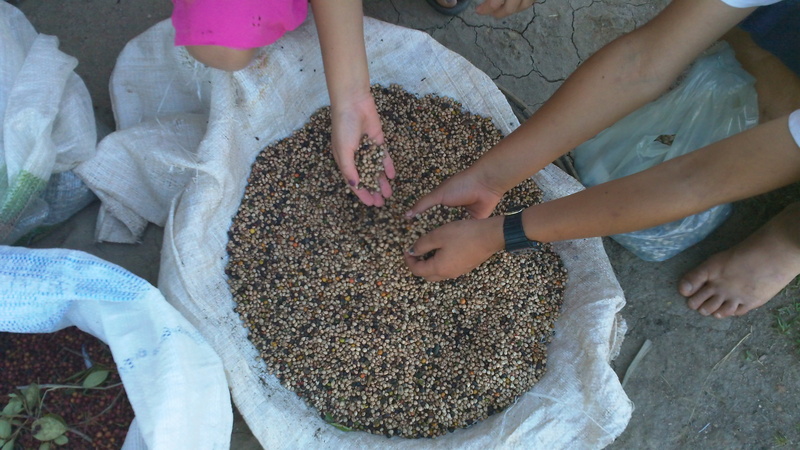 Here’s a report about the potential for large scale mangrove restoration with seed balls planted by drones, in Myanmar. And I highly recommend watching the video produced after the article quoted below was written. Click on the drone image below and start at 13 min for the section on Myanmar. This is an exciting test run for a potentially wonderful planting method for wetlands, while it’s too early to see the results. Their team is going back in August to do a very large planting, and we’ll look at the results of the first planting later this year and next. Mangroves, because of the moisture, are the very likely places for drone plantings to survive. Biocarbon Engineering recognizes this by stating they only plant wetlands, in their FAQ. This is very good! And, while the BioCarbon Engineering speaker on the video, made the claim that seeds planted this way in March would create a living shield that would grow to protect the villages from cyclones this year, it’s not possible. The hosting organization knows this since their hand planting experience has shown that it took three years for transplants to reach the size that’s being claimed as achievable in months from seed. I truly hope this drone planting method for mangroves produces great results! Meanwhile, I’m still motivated to help humans learn how to bring soil back to life using organic practices, grow trees from native seeds to saplings, and earn a fair wage to plant them in the field, and take care of them until they become a forest once again. 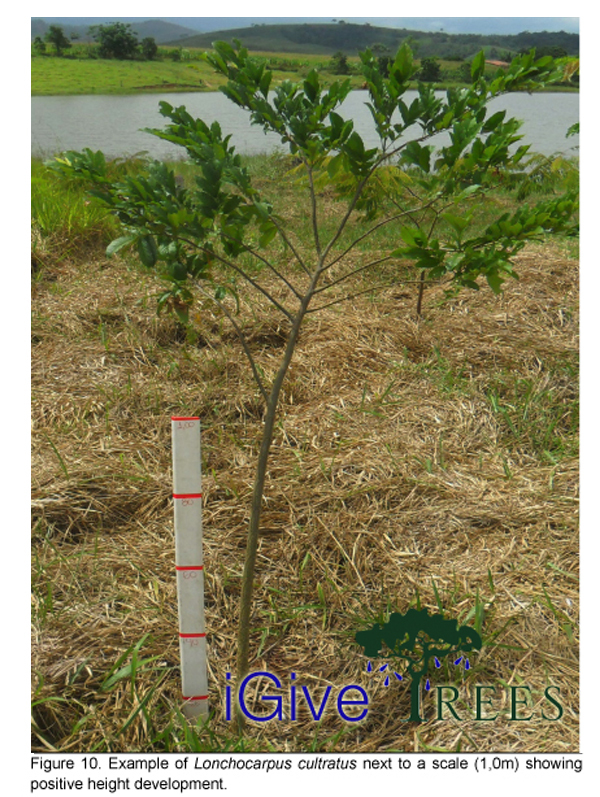 The photos below are from a two year progress report of trees we sponsored in 2011. I can hardly wait to go back to see how big they are now! I love the results and the people involved! If you do too, please support our ongoing projects in rural Brazil by clicking on a photo on the top left side of this page!! !